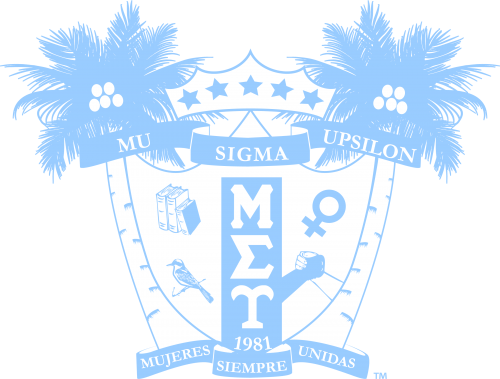 Mu Mission | Mu Sigma Upsilon Sorority, Inc. In September 2017 hurricane Maria devastated the island of Puerto Rico causing 96 percent damage to their infrastructure. On Sept. 13, 2018, BBC reported that a study done by George Washington University found that approximately 2,975 persons lost their lives due to the impacts of the storm. This historical death toll surpasses the deaths accounted for during Hurricane Katrina or during 9/11. Puerto Rico also suffered catastrophic damage and a major humanitarian crisis; most of the island’s population suffered from flooding and lack of resources, compounded by the slow relief process. The storm caused the worst electrical blackout in U.S. history and in June 2018, thousands of homes and businesses were still without power. To date, approximately 40,000 residents are still without power and are living under harsh conditions. George Washington University Study BBC reported that over 20,000 pallets of water bottles on a runway were left undistributed by FEMA. As a result residents of Puerto Rico are still in need of support to help restore the Island. Spearheaded by the MSU National Officer of Philanthropy, Nicolle Arendt, Mu Sigma Upsilon and its Foundation have partnered with the Family Services Network of New York to support the communities and families in Aguadilla, Puerto Rico through the 2019 Mu Mission Trip this March. Family Service Network has facilitated 3 mission trips to date since the hurricanes and has developed professional, reliable relationships within the community of Aguadilla. Mission groups will be working on Farming, Roof Repair, Creating Houses, engaging with Nursing Home residents, assisting with Mental Wellness, visiting shelters for women and children and working with the LGBTQ+ youth. We hope this Mission Trip will be the beginning of annual organization wide mission trips throughout the world where members of MSU as well as their children and family members will eventually be able to participate. With the help of local communities, families, and friends, our goal is to raise $5,000 towards purchasing donations for the mission trip. Below are donations that will be acceptable for mass ship to the island.